use collaborative reading activities eg information gap, jigsaw reading etc. These strategies support pupils at different stages of their acquisition of English. The EAL Primary Profile or the EAL Secondary Profile shows the level which the pupil is working on. If the strategies are highlighted there are resource materials available by clicking on the highlighted text. Teachers and pupils are encouraged to work across the 3 modes of language – integrating listening & talking, reading and writing into all activities, topics or themes. There are many common strategies that are used with every one of these modes (click on highlight). Choose from either, or both, of the categories below to see a filtered list of resources. Here are a couple of audio files with the Hello and Goodbye songs that are used in Teddy Talk session. Hello, hello, how are you? How are you today? These songs have been slightly adapted from the songs used in Kodaly sessions. If you slap your knees and then clap your hands to the beat this is good for rhythm development too. 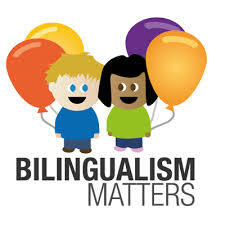 Bilingualism Matters is a centre for research and information on language learning and bilingualism based at Edinburgh University. Links to a variety of resources including a newsletter, language and identity and relevance of language learning in today’s society. Here is a link to downloadable resources Play At Home in English and Polish. These resources have been developed by the NHS to encourage early development through play at home. These activity sheets were developed by the Care and Learning Alliance as additional play ideas for parents, carers and children. Presented in the style of play@home with instructions, variations, benefits and precautions, they continue to encourage everyone to have fun using things found easily around the home. Remember to use your play@home book regularly as your child grows, as their interests will change and develop and you will be creating those special childhood memories. Polish versions are now available. 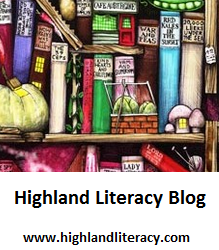 The EAL Highland team supports bilingual learners in schools throughout the Highland region.